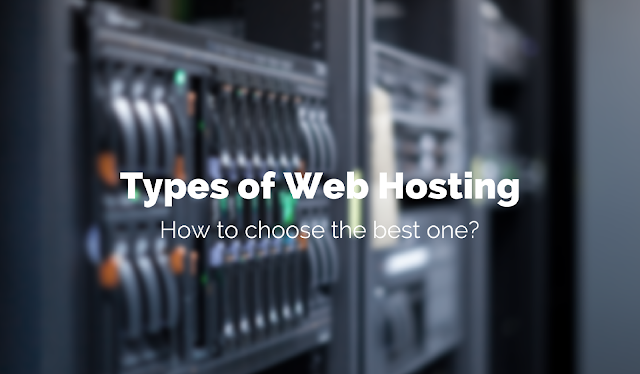 Types of Web Hosting and How to choose the best one? There are hundreds of companies that offers different web hosting services and choosing the best web hosting based on your need is the critical task for your online business. In this article, you’ll learn about the major types of website hosting available today and let’s you to find the hosting service that suits your needs. This is one of the most affordable options out there. Its monthly cost ranges from $5 to $20. Here, you will share a server with other websites. Let’s look into the advantages of it. Technical support from hosting company. The only disadvantage as of now is sharing of resources which mean shared hosting can accommodate, limited number of visitors per month and it varies according to hosting companies. Few days back, I’m looking to host some websites on shared hosting which can handle some moderate to high traffic per day. Mohan from Bloggingio wrote a detailed FastComet Review and thoroughly impressed by its features and performance. They are offering Cloud SSD hosting along with free domain name and same renewal price forever. I impressed by their uptime which I think mandatory for any type of online business. Folks at Bloggingio wrote another interesting article about fastest web hosting provider for WordPress by calculating the uptime and response time of top web hosting companies will definitely help you to choose the best web hosting for your blogs and websites. This hosting service has been gaining in popularity in recent times. FastComet too offering cloud based SSD hosting for its customers. Basically, a cloud-based server consists of numerous servers that were designed to work as one. The main advantage of this hosting service is that improved capacity can be attained just by acquiring more individual servers. The server is cloud-based so it is not directly linked to your system. That means your website will be secure and stable. You won't have to worry about other websites getting tons of traffic. Cloud servers also have great scalability - upgrading the RAM, disk space, and processing power is easy and simple. Important Note: Most cloud-based servers don't have specific prices. Thus, you will pay for the services you actually used. Don't worry about large fees if you are planning to use the server sparingly. VPS stands for Virtual Private Server. Here, a single physical server gets divided into multiple servers. The virtual servers inside a real server share hardware resources. But they have their own computing resources. This type of web hosting allows you to enjoy the benefits of dedicated hosting minus the high costs. You will share a single server with other people, so the price you have to pay is considerably lower than that of dedicated servers. This is the best option if you want to prevent "neighboring websites" from crashing your site. These days, a VPS hosting package costs $50 to $200 per month. The total price depends on the memory and computing power that you'll get. Managed - This type is ideal for people who don't have the time or skills to manage a VPS server. The technical personnel of the hosting company will take care of your requests and maintain the server for you. With this option, you'll enjoy guaranteed website availability and secure data infrastructure. The speed of managed VPS hosting services is also notable. Unmanaged - Here, the service provider will take care of the server's availability only. They won't help you in maintaining and managing your server. Thus, this option requires considerable technical skills and knowledge from the owner. As the owner of an unmanaged VPS, you will handle the installation, upgrades, and maintenance of software. In addition, you have to backup all your system files because the host won't give you much technical support. Your website will be the only thing present in the dedicated server. Thus, you can be sure of excellent website performance and availability. All the memory, computing power and other resources belong to your site. This is the best type of hosting, feature-wise. But it comes with high costs. Most dedicated servers cost $100 and above per month. Important Note: You will get complete control over a server. That means you need to maintain the server and make sure that it will work as it is supposed to. You may serve as the administrator of the server if you have the time, skills, and inclination for it. But if you want to focus on your website and your business, you may hire a professional server administrator. This option increases the total costs, but you can be sure that an expert takes care of all the complex stuff for you. Technical Support - The hosting service provider will take care of the technical problems your customers might experience. When your clients contact you because of technical problems, refer them to the service provider. Name Servers - You will get your own name servers. Thus, your business will appear bigger than it actually is. Ask your clients to point their domains straight to your name server. Website Templates - These templates will help your clients in creating new websites. You can use this feature as a great marketing tool. This kind of package costs $15 to $50 per month. The better the features and server resources, the more expensive a package becomes. Web hosting is an important aspect of having a website. There are free hosting services out there, but they involve limited features and tons of advertisements. If you want a high-performing and customized website, you should go for a premium web hosting service such as the ones listed in this article.